but only so tightly that it can still rotate. 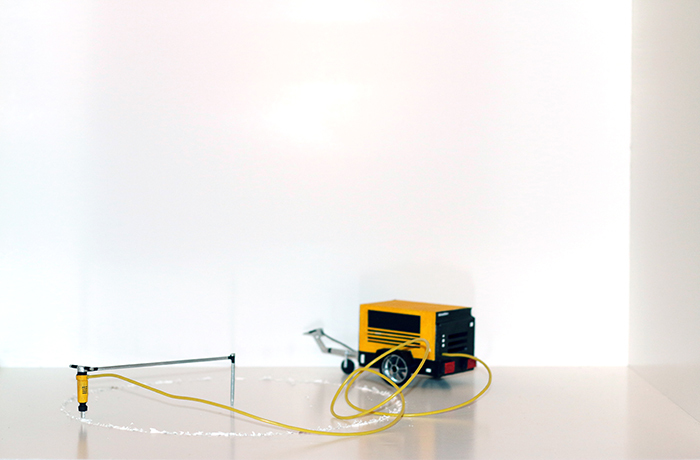 The jackhammer is connected to a compressor by a tube. The jackhammer will carve a circular track into the floor.